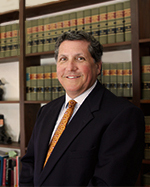 Carl Wyatt - Glassman, Wyatt, Tuttle, and Cox, P. C.
Carl Wyatt is a Shareholder within Glassman, Wyatt, Tuttle & Cox. He was born Born in Trenton, Tennessee, on May 30, 1961. He is married to Lee Ann Austin Wyatt. Carl has two children, Nicholas and Carly Nicole.